Tottenham 2-0 Chelsea: Sorry Antonio, in this game the wrong decisions were made. 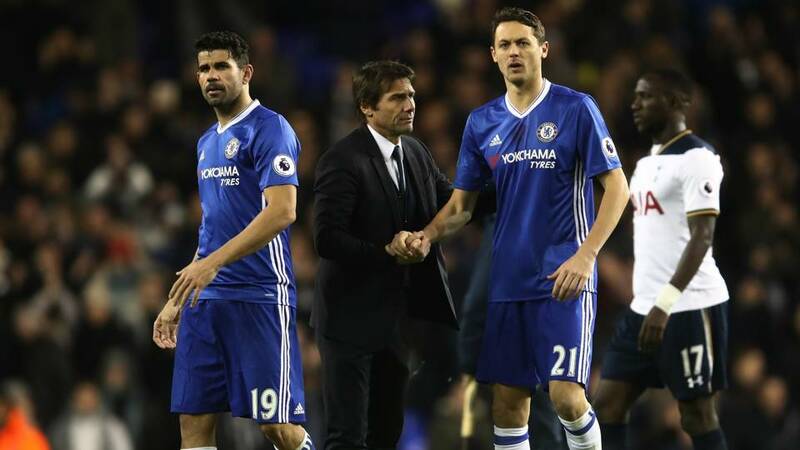 Chelsea suffered their first defeat in fourteen games in the worst possible way with defeat at White Hart Lane. Although Spurs played well, we caused ourselves plenty of problems. Now I have personally not read or watched anything post match or any reports/opinions of others today to purely focus on my own as this defeat still hurts as much as it did last night. As the teams were announced and Pedro was back into the side in the place of Willian, I could understand the reasoning because of Pedro's pace and willingness to close down in their half. However, within the early minutes of the game as Jan Vertonghen playing on the left side of a defensive three; clattered into Pedro and sent him flying, it became clear that Willian should be starting the game. Pedro was literally bullied by Tottenham for the remainder of the game. N'Golo Kante had an absolute shocker in this one and was replaced as a result. I lost count how many times he gave the ball away and it affected the other aspects of his game. Chelsea were played ten yards too deep and need to push further up which caused us problems when Tottenham had possession of the ball. Time and time again, they were given time and space in front of our back four and it forced us backwards. As a result, we couldn't really build anything sustainable in the first half. In saying that, Eden Hazard through on goal early on after beating their offside trap should have done better as he sliced the ball wide with his left foot from the edge of the box. 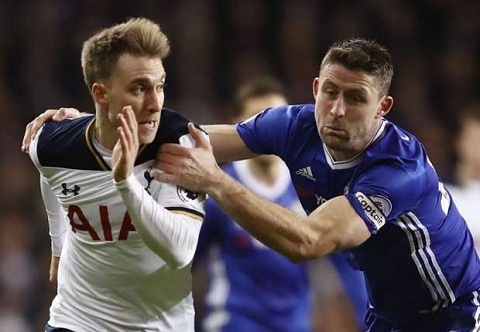 Now, and it really frustrated me last night, how anyone can give Eriksen the time and space on the ball in our half and not give themselves problems is beyond me. He is what makes Tottenham tick and we witnessed that first hand at Stamford Bridge for god sake! 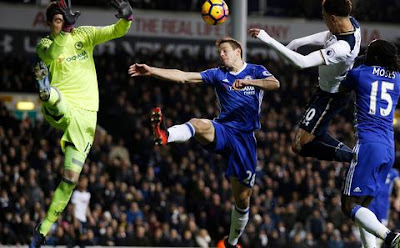 I can accept that at times we concede goals and if anything it was a smart tactic by them to pull Dele Alli onto the far post up against Cesar Azpilicueta and Victor Moses who are not the tallest to score. To then concede an identical goal in the second half is a joke. Eriksen had the same space. Dele Alli pulled onto the back post and scored! What Thibaut Courtois was doing there for the second goal also needs to be asked as he almost hid himself away from being hit by either the player or the ball rather than focus on make a bloody save! I was crying out for Willian to replace Pedro at half time with Fabregas on for Kante but it never happened. We had to wait far too long for a decision to be made and by that time we found ourselves 2-0 down. At the point of conceding the second goal it became clear that we needed to change things and our approach to the game. I was calling on Twitter for a switch to 4-2-4 and to bring Batshuayi up top with Hazard and Willian out wide, Fabregas and Matic in the middle with Moses, Cahill, Luiz and Azpi as a back four as I felt we needed to test Tottenham and see how much their own back three would have coped with four up against them. That didn't happen either. It was a very, very disappointing performance and one that I hope hurts everyone in that dressing room as much as it hurts us. If anything, I really hope that this can give everyone a kick up the arse and to refocus on the next game in the Premier League against Leicester next weekend. It's with regret that we have to hold our hands up and congratulate Tottenham on how they approached the game, the details that brought them their goals and how they played (apart from Danny Rose the dirty little ****). We are still five points clear and in prime position but it could have been so much more. Don't tell me to focus on what we have achieved so far, this one hurts!